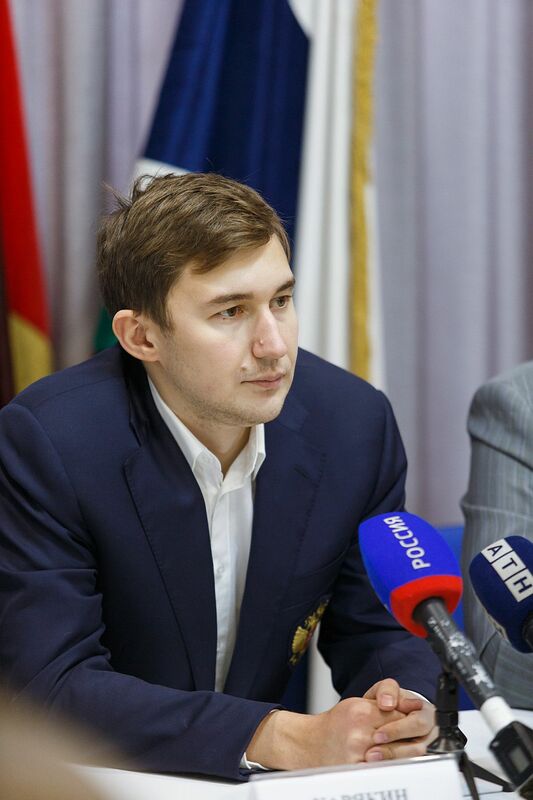 During the press conference, Sergey Karyakin confessed that he had received unforgettable impressions communicating with Sverdlovsk children, noted the hospitality of the host country, and felt the love of chess fans. 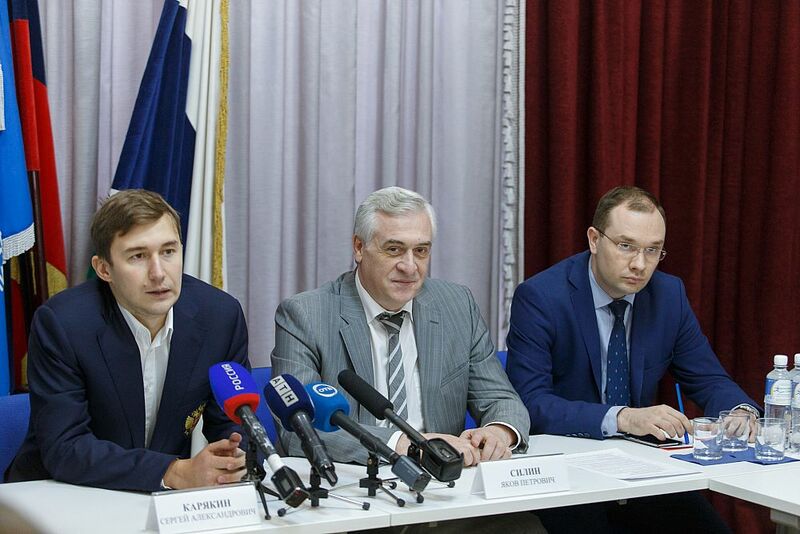 The chess player called the Urals one of Russia's best regions that develops chess playing. “I was struck by your chess traditions. The kids played pretty well. If they continue to study, if they have a good coach and funding for visiting competitions, they will become new champions,” he said. The question "How could chess be useful for students of a university of economics?" found a stormy response. “Chess is great! 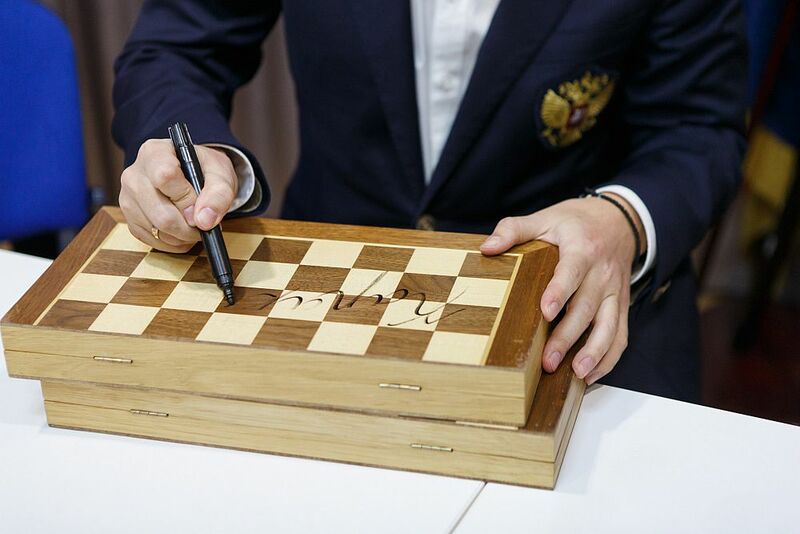 Economists need to be able to figure out situations and predict just as it is in chess,” Sergey Karjakin concluded. 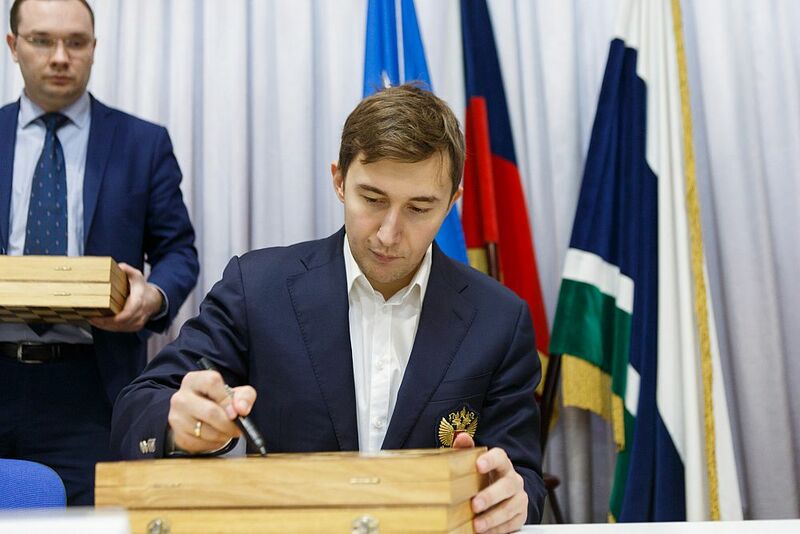 USUE rector Yakov Silin supported the grandmaster: “Chess helps properly assess the situation, make fewer mistakes, and teaches to build one’s activities in a consistent manner. 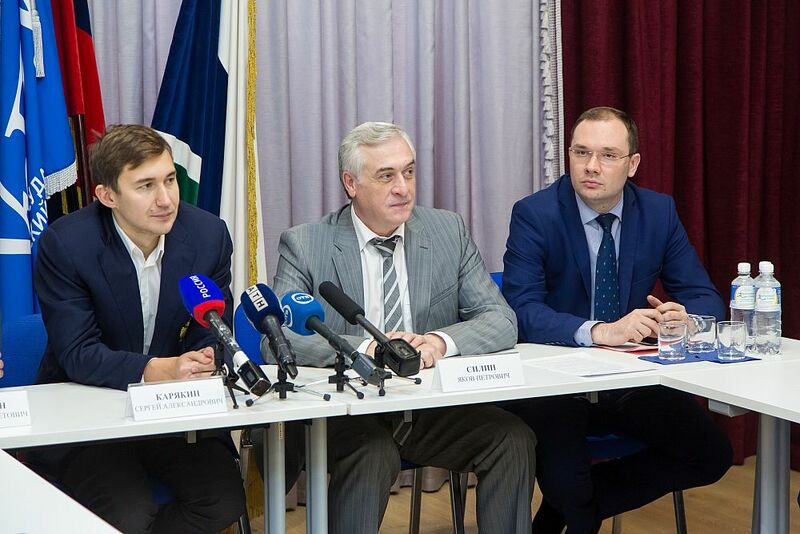 The Chess Department will teach the mathematical modeling of information systems." 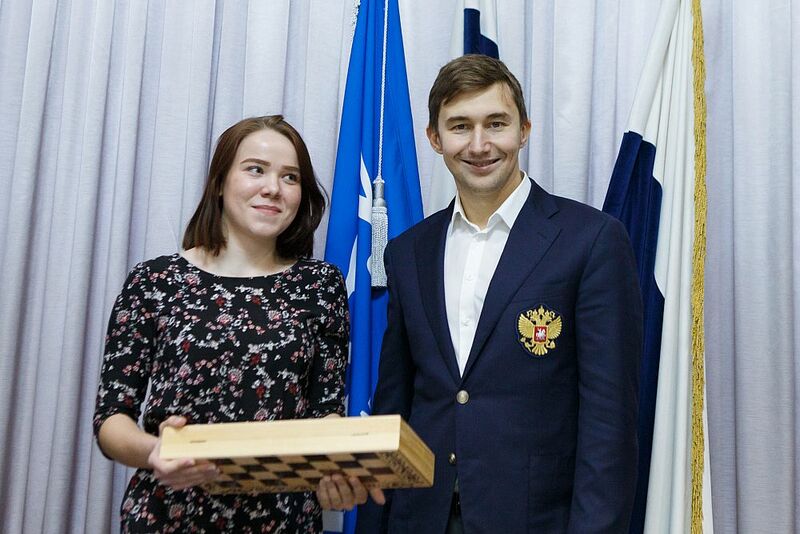 Yakov Silin also said that USUE ran a student chess club. This academic year, the Department of Chess Art and Computer Mathematics was officially opened at USUE, which will combine educational programs in three subjects - mathematics, computer science (information technologies), and chess art.